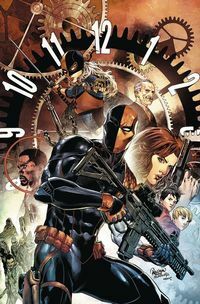 Beyond Burnside continues, Captain Marvel is torn, we get introduced to a new western comic Kingsway West, Deadstroke goes on a mission through time, and we wipe our noses with Snotgirl. 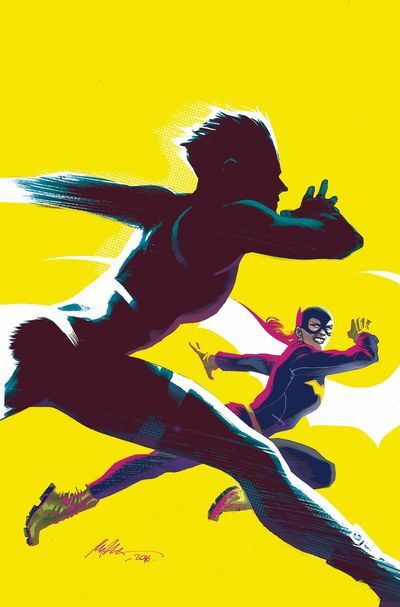 Beyond Burnside continues as Batgirl tries to decode the cryptic words in the last issue from the mysterious Fruit Bat. Barbara’s path leads to train in mixed martial arts in an attempt to get over her past. As she takes a beating in the ring, things start heating up between her and Kai, which might be a little more than she, and Kai can handle. What Babs quickly discovers is that even her years of training and experience still can’t prepare her for what’s next. Carol Danvers is torn. She wholeheartedly believes that the predictive justice movement is saving lives, but she’s being questioned (by virtually everyone) at every turn. She remains committed to the cause, but the pressure is starting to get to her and the seeds of uncertainty are starting to get to her. 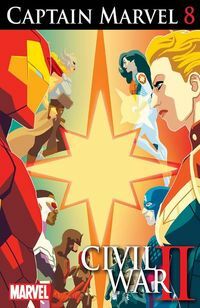 This issue of Captain Marvel dovetails in very well with the events that have been unfolding in the pages of Civil War II as Ruth Fletcher Gage and Christos Gage prove a strong grasp of Danvers’ motivations. 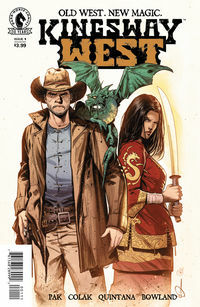 Greg Pak’s latest book opens with an alternate look at the United States. With the West Coast being divided mainly between Mexico and the Chinese. We’re given a bit of information in this world. Where Magic and Monsters exist alongside something called Red Gold – a mystical mineral that lives underneath the surface of the earth much like salt and gold. Lottie is a very self-obsessive person and Bryan Lee O’Malley does and excellent job showcasing that. He writes her in a way that reads as if we are reading one of her blogs – she writes her blog exactly how she thinks. In this second issue, we get a little more information on what is going on in Lottie’s life, from her boyfriend status to what the heck is going on with her stalker?! Leslie Hung again does a fantastic job with the art of this book. I really enjoy the sense of style she brings to this series. If you are missing the humor that Bryan Lee O’Malley delivers in books like like Scott Pilgrim and Seconds, then this is a series you should be reading. It’s not all about selfish fashion bloggers, she’s got bigger problems than that. 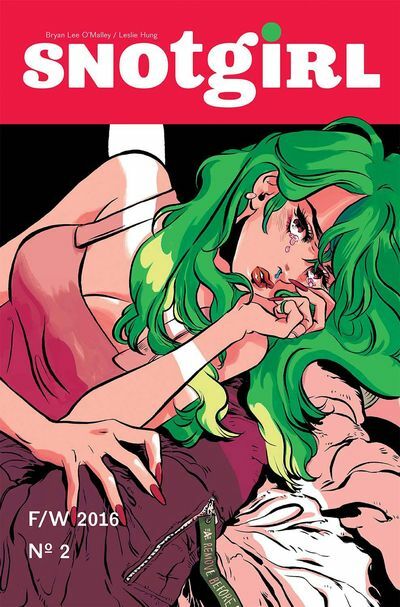 Snotgirl #2 keeps the narrative running even if you try and wipe it away. Previous article Review: Nightwing: Rebirth #1 – The Bird is Back! Next article Review: The Rocketeer At War – Surprise! He’s Not Dead!